I'll admit it. I am a masochist. Why else would I keep returning to Crystal Mall? Furthermore, why do I insist on parking in the spiral lot of hell when I could easily park across the street? Do I like the pain? Do I enjoy watching Corollas try to navigate the pie shaped parking spots only to be completely crooked off to one side? Do I love the fact I have waited 10 minutes watching that Corolla going back and forth in front of me? Oh wait. I know. I just love the enjoyment of being pushed out of the way when I'm trying to exit the elevator at Crystal Mall. Don't people understand that the elevator must VACATE before there is room to ente r? I guess not, might as well enjoy the door slammed in my face too as I was expecting someone to hold it open for me. How naive I am. So here I was at Crystal Mall again... ready to take my lumps. The real reason we were here was to buy food. 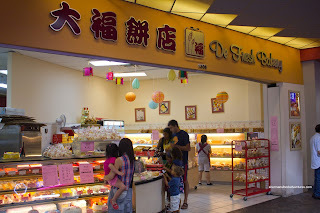 In particular some Chinese pastries for the kiddies. 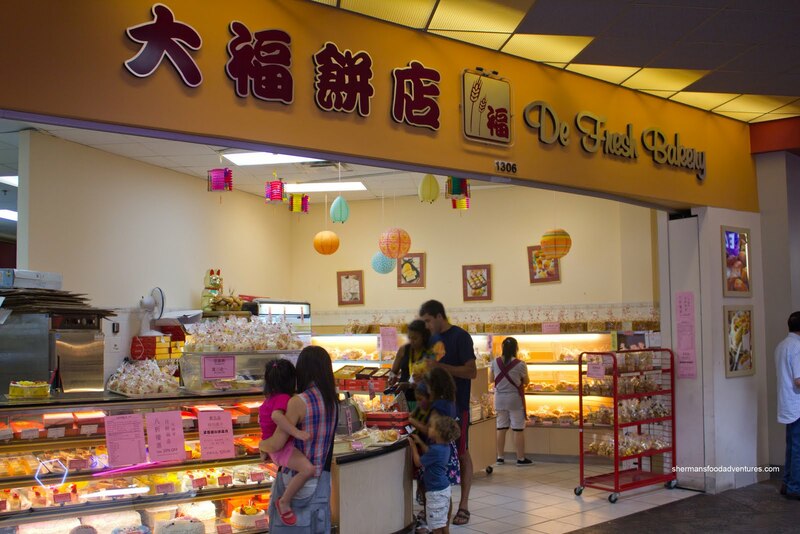 For the longest time, we would walk past De Fresh Bakery on our way down to hell, er... I mean the parking lot and have never tried it out. This time, we stopped and grabbed some buns... For some reason or another, there weren't any BBQ Pork Buns available, so we had to make due with what they had. My daughter loves Chicken Pies, so we got a few of those. They were okay with a buttery crust which wasn't too heavy. 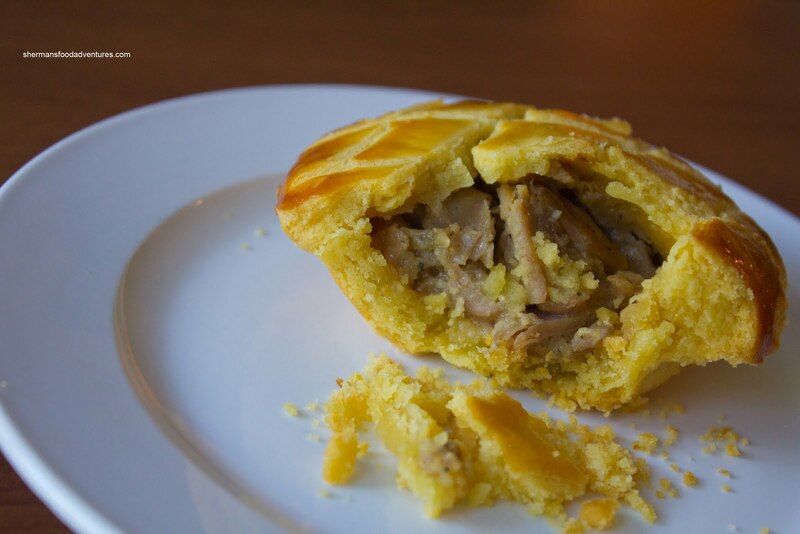 However, the filling was pretty one-dimensional as you can see in the picture. Was it a bad mix? There wasn't anything other than chicken in it (which I'm sure some people prefer anyways). The kiddies also love Egg Tarts, so yes we got some of those as well. Call this a personal preference, but for us, we like the puff pastry type of tart shell over the one you see here. 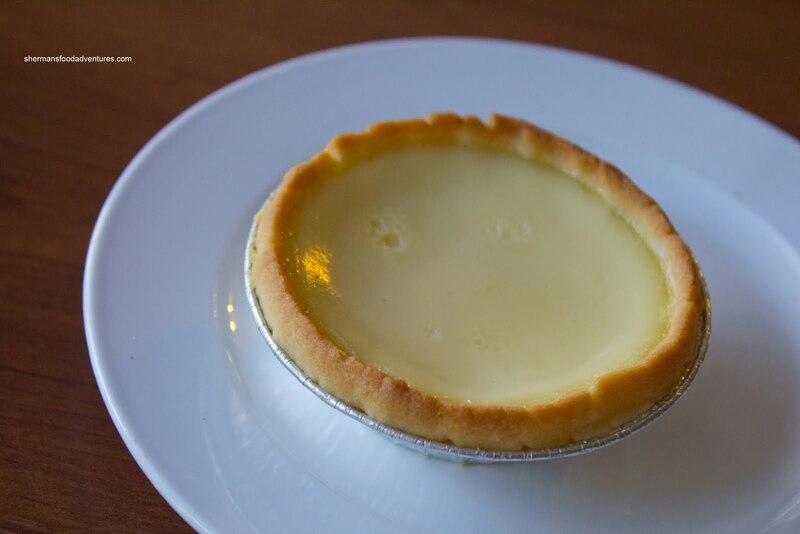 Something abou t the dense pastry we don't like with the light egg custard. And this custard was sure light, in fact, a touch thin. On the topic of personal preferences, my son absolutely loves Pineapple Buns. Despite its name, there is no pineapple in them, rather, the sweet topping resembles the exterior of a pineapple (I suppose...). We were disappointed with these ones though. The dough was far too chewy and dense. Even after a quick nuke, it was still chewy (and yes, it was quick. I know that it gets tough if nuked too long). On the positive side, the sugary topping was not mushy and tasted quite good. 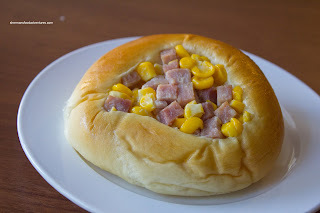 With such "tough" dough, it was predictable that the Ham and Corn Bun would be a fail. Too bad really since there was a good amount of ham and corn. In the end, we had a few more different buns, but I'm not going to talk about the Weiner Bun since the common theme was the overly chewy dough. Was this a bad batch? No idea. 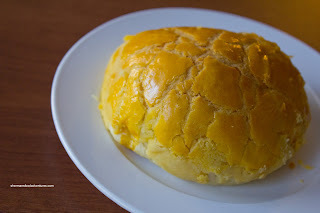 One things for sure: with so many different Chinese bakeries around, I probably would steer clear from here and it has nothing to do with the parking lot either! The only thing I usually get here is their chestnut cake as it's reasonably priced. Next time, if you're craving baked goods, try the ones at the Metrotown T & T. They have a lot of variety and are very fresh. Also, the parking is not so crazy. However, I have had to park further away lately as the it can become crowded. If I'm at Xtal buying Chinese bakery goods, I go to Pine House in the market. And Holly's right about T&T. Or Maxim's across the hall is good too. There's also St. Germain's in the mall across Superstore, but their selection is limited.